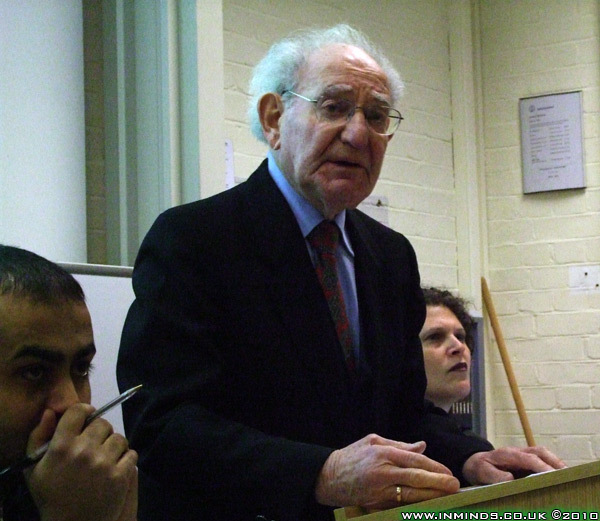 In January 2010, the International Jewish Anti-Zionist Network (IJAN)and the Scottish Palestine Solidarity Campaign organised a speaking tour featuring Auschwitz survivor and advocate of Palestinian freedom, Dr Hajo Meyer. 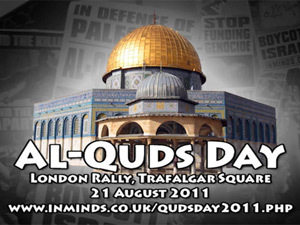 It was designed to coincide with Holocaust Memorial Day to expose how the Holocaust is exploited and misused to further Zionist political ambitions and to provide cover for Israel's crimes. The tour featured ten venues in England, Scotland and Ireland. 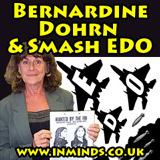 This report is of the presentation at Goldsmiths, University of London on 26th January. Dr. Hajo G. Meyer was born in 1924 in Bielefeld, Germany. Not allowed to attend school there after November 1938, he fled to the Netherlands, alone. In I944, after a year in the underground, he was caught and subsequently survived 10 months at Auschwitz. He lives in the Netherlands, where he works as publicist and essayist. A member of IJAN, Hajo Meyer is on the board of the Dutch group "A Different Jewish Voice", part of the coalition of European Jews for Just Peace. 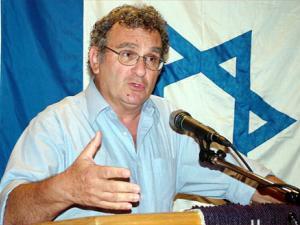 He is the author of three books, on Judaism, Holocaust and Zionism. "My great lesson from Auschwitz is: whoever wants to dehumanise any other, must first be dehumanised himself. The oppressors are no longer really human whatever uniform they wear." Dr. Haidar Eid is a refugee whose parents were expelled from the Zarnouqa village in 1948. Dr. Eid is a member of the PACBI Steering Committee and a co-founder of the One Democratic State Group. 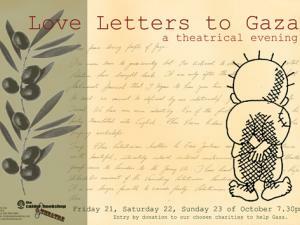 He currently lives in Gaza, where he is an Associate Professor of Cultural Studies at Al-Aqsa University. "Archbishop Desmond Tutu of South Africa said, "If you are neutral in situations of injustice, you have chosen the side of the oppressor.' The UN, EU, Arab League and the international community by and large remained silent in the face of the atrocities committed by Apartheid Israel. They are therefore on the side of Israel." The speeches were followed by a lively question and answer session. Streaming video and mp3 podcast of the 2 hour programme is included below. The first speaker was Dr. Haidar Eid. 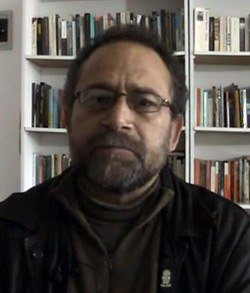 Dr. Haidar Eid is an Associate Professor of Cultural Studies at Al-Aqsa University in Gaza, and is on the Steering Committee of the Palestinian Campaign for Academic and Cultural Boycott of Israel (PACBI). Prevented by Israel from leaving the Gaza Strip, his speech had to be pre-recorded and shown as a video presentation. 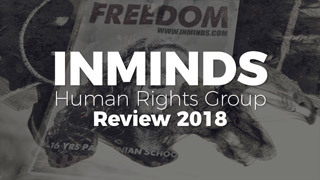 This didn't retract from its content, a truly moving speech, Dr. Haidar Eid talked of the international communities complicity - starting with the Arab League, in the genocide in Gaza, of leaving Palestinians to die. ".. confronted with the usual conspiratorial international indifference, after 22 long days and dark nights, during which we Gazaans - Palestinian inhabitants of Gaza were left alone to face the fourth strongest army in the world. an army that has more than 450 nuclear warheads, an army that has Merkava tanks, that has F16s, Apache helicopters, naval gunships, and phosphorus bombs made in the factories of the United States of America." He talked of the EU giving a green light to Israel after its 2008 attack on Gaza when Gaza was threatened by a greater Shoah (holocaust) by the then deputy minister of war Matan Vilnai. That green light by the EU, in the form of rewards to upgrade the EU's trade agreement with Israel, resulted in the slaughter of 2009. 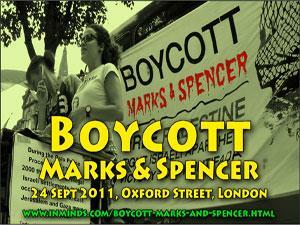 "March 2008 was then a rehearsal, a prelude for Gaza 2009. Israel knew then that it could go on committing war crimes and crimes against humanity fully equipped with an international conspiracy of silence. The international community did not react in March 2008, why would it do otherwise in 2009? 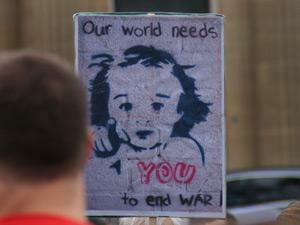 The international community did not react in 2009, why will it react in 2010? That's why we in Gaza are bracing ourselves for worse days to come while the international community will be standing idol, standing by silent, watching us being killed in broad daylight.."
"If there is something to learn from Gaza 2009, it is that the world was absolutely wrong to think that Nazism was defeated in 1945. 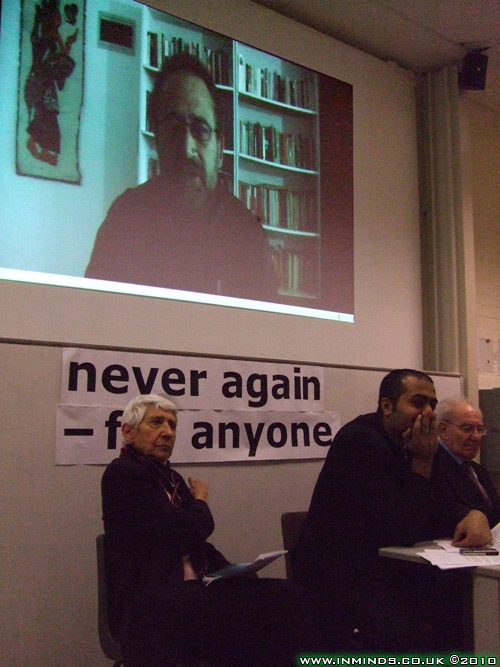 Nazism has won because it has finally managed to Nazify the consciousness of its own victims.."
For more, see Dr Haidar Eid's paper on "Promoting a Culture of Resistance" presented at the 4th Bil'in International Conference on Grassroots Popular Resistance. Dr Hajo Meyer is a Holocaust survivor, he survived 10 months at Auschwitz after being captured by the Nazis whilst serving in the underground. 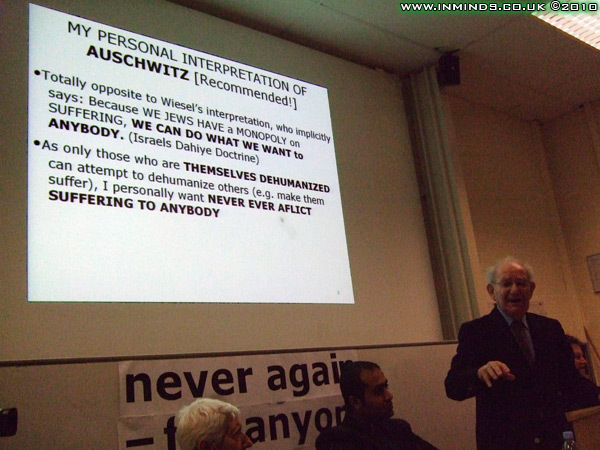 His talk was on "the misuse of the Holocaust for political purposes". 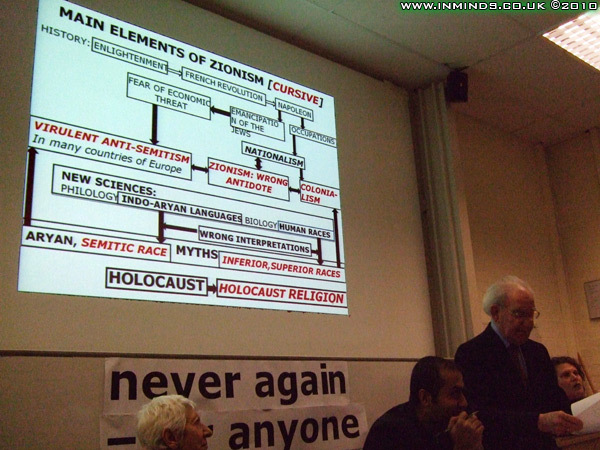 He explained that Zionism today being xenophobic, colonialistic, nationalistic and racist is the antipode of Judaism. "I don't know how you are aware, but I can tell you that in Europe, hardly any of the victims in central Europe had any sympathy for Zionism. 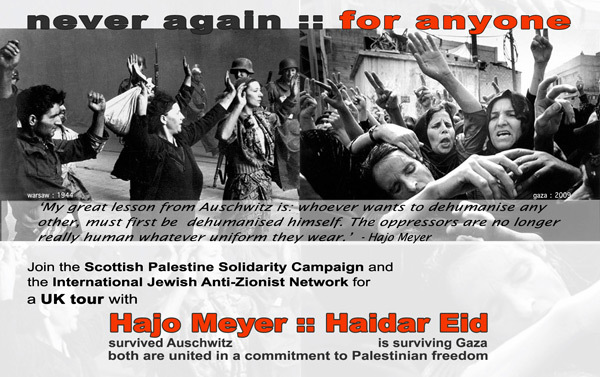 But what is more important, Zionism had no sympathy what so ever for the victims during and after the Holocaust. The founder of the so-called democratic Jewish state used literally the words "these people who come from the camps are useless human material". And here I stand, a 'useless human material' and tell you what the truth is!" 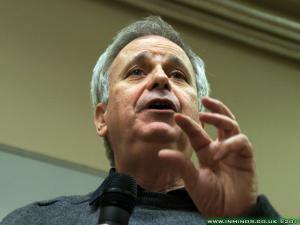 He talked at length about the history of anti-Semitism and the emergence of Zionism and how eventually "Judaism in Israel has been substituted by the Holocaust Religion whose high priest is Elie Wesel'. 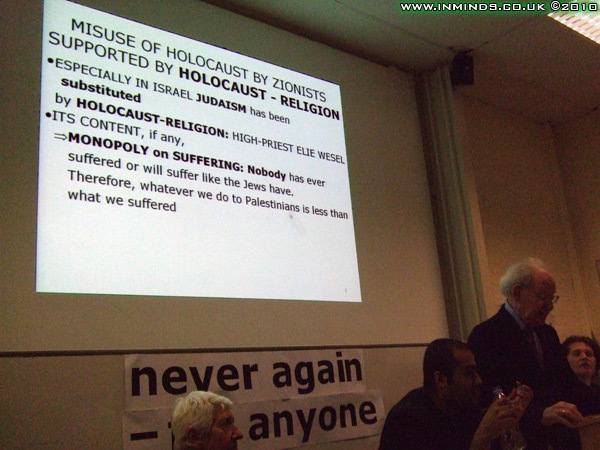 Elie Wesel having literally said that 'Auschwitz is comparable only to the Sinai experience' [when Moses was given the 10 commandments by God - the very basis of Judaism]. "Its content [Holocaust Religion] is that 'we Jews have the monopoly on suffering', 'nobody has suffered or ever will suffer like the Jews have therefor what ever we do to the Palestinians is less than what we suffered , and can be done without feeling guilty'"
"only those who are themselves dehumanized can attempt to dehumanize others, I personally NEVER ever want to afflict suffering to anybody because I want to remain human"
He then went to explain how dehumanisation of German society occurred in preparation for Auschwitz - different laws for Jews and Aryans, arrests without warrant, systematic indoctrination through propaganda - school books, comparison with insects, etc. 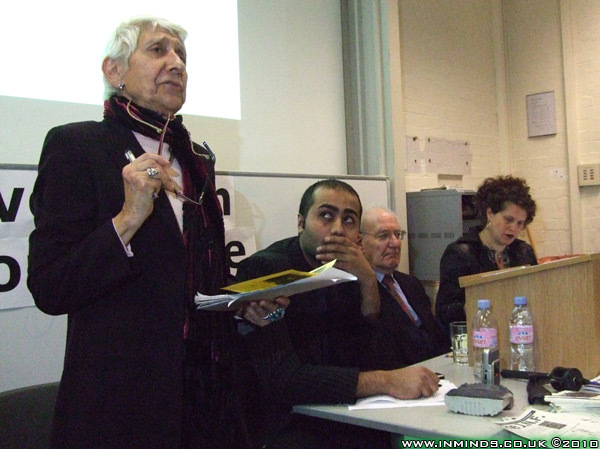 He then showed how Israel is following the same course, the dehumanisation by Zionists in preparation for the slaughter in Gaza..
Auschwitz survivor Hajo G Meyer expresses in impassioned terms his dismay at what he sees as the moral collapse of contemporary Israeli society and the world-wide Jewish community as a whole. 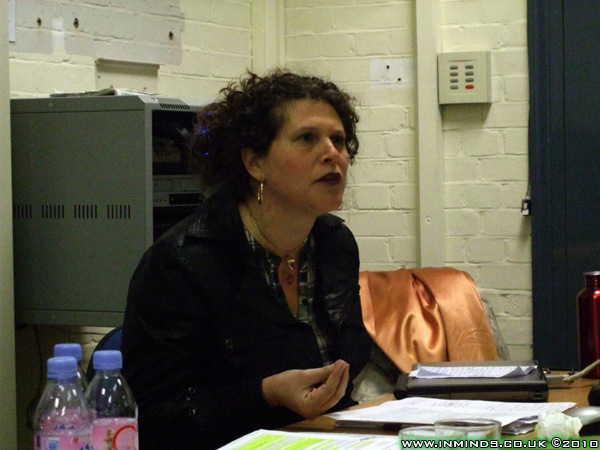 Meyer is a member of "A Different Jewish Voice," a Dutch-based, secular Jewish movement that dares to openly criticise Israel's policies toward the Palestinians. In his observations, deeply coloured by his personal experiences during the Holocaust, Meyer compares Israel's current policies with the early stages of the Nazis' persecution of the German Jews.He clearly explains that he is in no way seeking to draw a parallel between the current policies of Israel and the Nazis' endgame, which resulted in the mass murder of six million innocent people. He is merely trying to point out the slippery slope that eventually led to this catastrophe, and the necessity of foreseeing the possible consequences of a policy that oppresses and marginalises the Palestinians in their own homeland. As a result of his experiences in Auschwitz, Hajo Meyer claims to have learned one fundamental lesson: that his moral duty as a human being was to never become like his oppressors. "The End of Judaism" is the outcry of a dissident Jew who is not afraid of standing up to entrenched ways of thinking about history and particularly about the Palestinian conflict, which is one of the most intractable social and political problems in the world today. 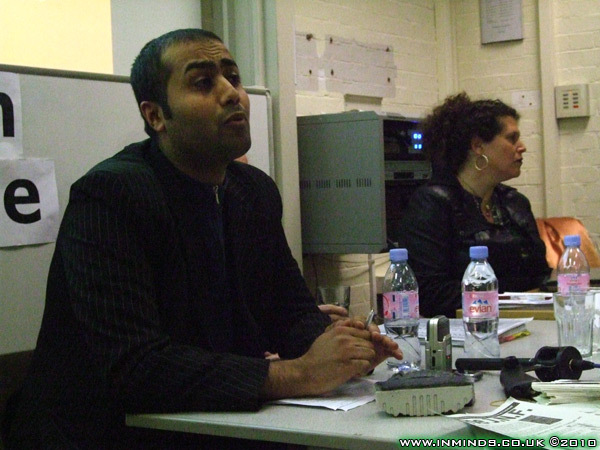 Sameh Habeeb is the founder-editor of the Palestine Telegraph, a unique English language media outlet based in Gaza. Sameh Habeeb started his talk by giving a brief outline of recent Palestinian history from 2000 to the present day explaining the background to the siege of Gaza, how over 400 people have died simply because Israel has not allowed them to leave the Gaza Strip for urgent medical treatment. At the same time Israel has prevented medical supplies from entering Gaza. 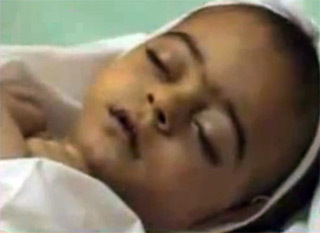 He gave the example of 6 month old Firas Mazloum who needed urgent medical care, his application to leave Gaza was rejected by Israel many, many times and finally when he was granted permission he died before he could reach the crossing. He explained that more than 85% of Gazaans are forced to live below the poverty line due to the siege. The lack of fuel means school children having to walk for miles to get to school, he gave the personal example of friends having to walk everyday from Rafah to Gaza City where the universities are located (a distance of around 30km). Constant power cuts, are all examples of the everyday hardships Gazaans suffer due to the siege. He then went on to describe how during the war, when he was reporting for many news outlets including the BBC, SKY, Channel 4, CNN and ABC, the reports would be censored. They would try to limit what he could say telling him specifically 'do not mention this, do not mention that' and when he sent some photos for Sky News they deleted most of them. 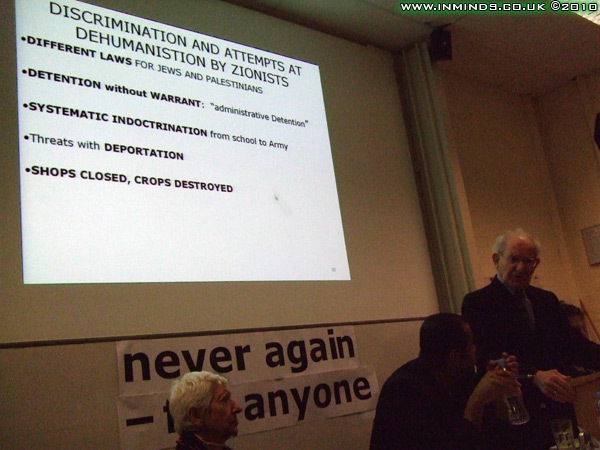 Sameh Habeeb's talk was unfortunately badly savaged with constant interruptions from zionists in the audience. Within seconds of him starting, interruptions from members of the Zionist Federation and Board of Deputies of Jews began. Due to these disruptions we could not include the video of his talk. 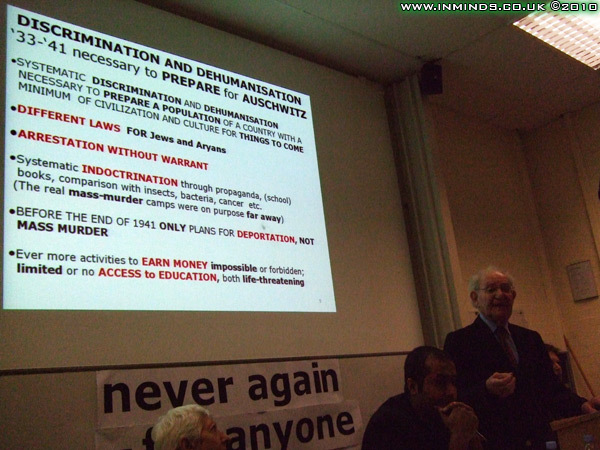 The hecking by pro-Israelis had began whilst 86-year-old Holocaust survivor Hajo Meyer was speaking. It continued through Sameh Habeeb's talk, and in to the question answer session. 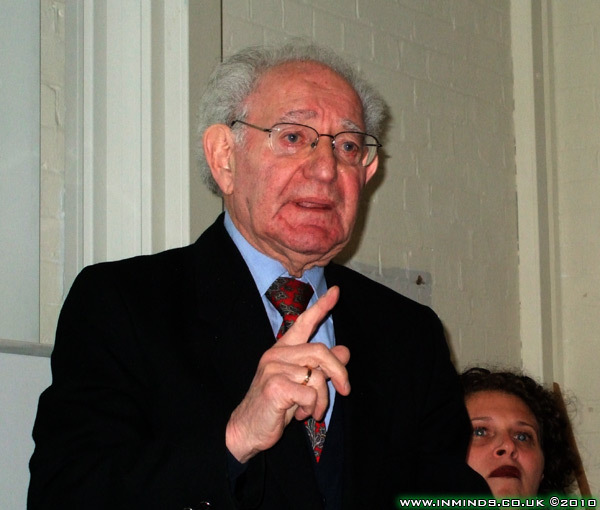 Essentially the Zionist Federation had decided to silence an Auschwitz survivor because he saw parallels between his tormentors, the Nazis, and Israeli treatment of the Palestinians. When that didn't work, the vice-chair of the Zionist Federation went to work hurling insults at Dr Hajo Meyer, in an article calling him a 'performing bear': "Like some grotesque, ungainly performing bear in the circus, Meyer is dancing willingly to his ringmaster's tune, saying that Israel’s actions are the same as those of the Nazis". IJAN responded "According to Hoffman, Meyer, author of three books about the subject, cannot possibly have formed his own opinions in light of his own personal experience, including his time in Auschwitz. He must be manipulated by his 'ringmasters.' We are unforunately not shocked by Hoffman's disrespect of a holocaust survivor's right to his own experience. 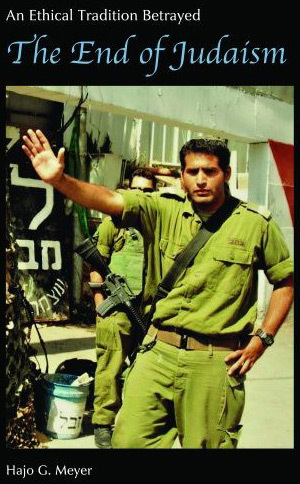 This is what we'd come to expect from the apparatchiks of Zionism." The Holocaust Memorial Trust , which exists to give voice to the survivors of the Holocaust, was no better. It refused to allow this speaking tour of a Holocaust survivor to be listed on the official Holocaust Memorial Trust website events list. IJAN tried three times with no success, and have now launched a petition in response to the banning. After a riveting 40 minutes of questions and answers, Sarah Kershnar, founding member of IJAN, rounded the evening of with a few words. Yesterday at our presentation there was a woman from Rwanda, and she described her own experience of genocide, one of the things she said that was very important is that denial of genocide is one of the precursors to future genocide. It is so important that we are able to speak about what is happening in Gaza and Palestine, because denying what's happening continues to move it, to move this slow motion genocide towards genocide. It was the Nazis who said no one remembers the Armenian genocide - no one will remember what we do. 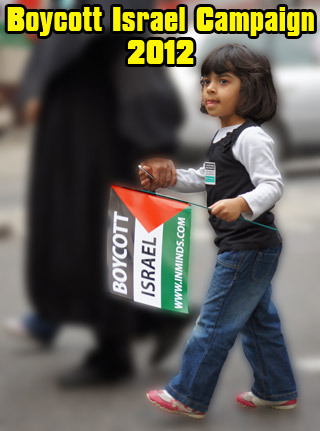 So with that what we are saying with 'Never Again' is that its not enough to say 'Never Again' - we have to act.. some of the ways we do that is certainly by supporting Boycott Divestment and Sanctions..
We are working on a campaign against the Jewish National Fund. 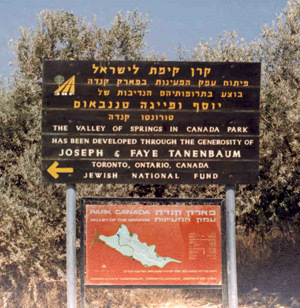 As some of you will know the Jewish national Fund was one of the original colonising organisations of Palestine, it had bought up as well as confiscated Palestinian land and holds it in reserve for Jews who live anywhere in the world and explicitly disallows the purchasing or even renting of land and property in Palestine to Palestinians. We are organising a campaign because this organisation claims to be, as many Zionist organisations do, a Jewish community organisation but really exists for the sole purpose of getting resources to Israel, which includes resources to settlements. It is a parastatal organisation, meaning it can represent Israel in meetings of the United Nations and it has charity status as a parastatal organisation - it's in its constitution. The video is in 12 parts (1h 56mins), you can either let it play in order or jump to a particular speaker. 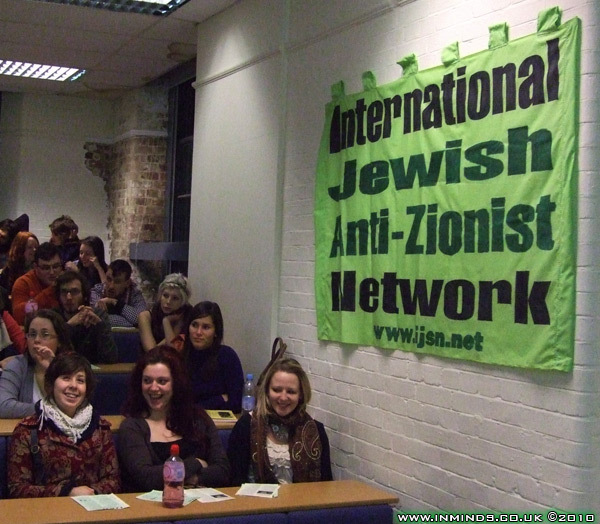 7 minute video of the closing remarks by Selma James of a 2008 conference on 'International Resistance to Zionism'. Particularly striking are her critical words on South Africa. The idea that we don't wont what happened in South Africa to happen in Palestine (aborted revolution) resonates with the words of Imam Achmad Cassiem, a veteran of the armed struggle against apartheid in South Africa.